Vejay Ramlakan: Did He Violate Mandela's Privacy? Vejay Ramlakan: Did He Violate Mandela’s Privacy? The Department of Defence has distanced itself from the controversial book “Mandela’s Last Years”‚ penned by the former surgeon-general of the South African Defence Force. 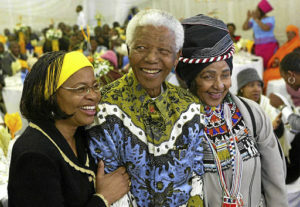 Former First Lady Graca Machel threatened on Friday to sue Dr Vejay Ramlakan – who headed Nelson Mandela’s military medical team for about seven years – as well as publisher Penguin Random House‚ after the book hit the shelves this week. “I condemn the book in the strongest terms,” Machel said in a statement released by her foundation on Friday. Ramlakan is the country’s former surgeon general and headed Mandela’s medical team till his death in 2013. 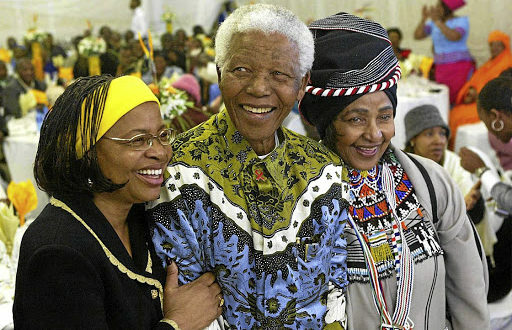 This book details the final years of Nelson Mandela up to his final moments where it was his ex-wife, Winnie Madikizela-Mandela and not Graca Machel who was present as Madiba breathed his last. The Department of Defence has distanced itself from the controversial book “Mandela’s Last Years”. Penguin Random House South Africa (PRHSA) accepted Mandela’s Last Years for publication after the author Vejay Ramlakan advised PRHSA that he had received permission from Mr Mandela’s family to publish the book. Their representative was provided with a proof of the book. In a statement released on Saturday‚ defence spokesman Siphiwe Dlamini said the department “noted and completely distances itself” from media reports about the book. “The SANDF’s policy on patient-doctor confidentiality is in force‚ as such the views and patient doctor engagements expressed in the book have not been sanctioned by the senior cadre of the department and the SANDF respectively‚” Dlamini added. The book contains never-before-published information on Madiba’s various health conditions‚ including that doctors were worried the former statesman ”might have died” when he stopped breathing on a chilly night in June‚ seven months before his December 2013 death. In some extracts released to IndianSpice last week, Ramlakan writes about Mandela’s admission to Mediclinic Heart Hospital on June 8, in a “serious condition”. Machel is adamant on her resolve that the book is a “breach of the doctor-patient relationship of confidentiality”.